The first day of fall marks Falls Prevention Awareness Day — and this year, the holiday lands on September 22. This holiday, sponsored by the National Council on Aging, is an opportunity for people to learn how to prevent fall-related injuries that affect older adults. Unfortunately, every 11 seconds an older adult is hospitalized for a fall; every 19 minutes an older adult dies from a fall. These numbers are scary, but many accidents can be prevented. So this year, get involved with your community — local, state and national — and spread the message of prevention. ​Life Alert grew in popularity after TV commercials aired featuring Dr. C. Everett Koop, a former U.S. Surgeon General. ​Life Alert, created by Isaac Shepher, was a new take on Dibner’s product. It was a pendant worn around the neck. ​Dr. Dibner obtained his patent and formed Lifeline Systems, Inc., a wireless alarm system that utilized a push-button-activated feature. ​Dr. Dibner started the long process of patenting his idea. ​Dr. Andrew Dibner, a gerontologist, was the first person to think of a life alert service that could call for emergency help when an elderly person is unable to get to their phone. It was known as the Automatic Alarm System. You can find many webinars and reading resources through the National Council on Aging and The American Occupational Therapy Association. There are many resources out there that discuss the actions being taken to ensure elderly safety and health. Learn about the Older Americans Act, health care policies, and federal funding bills. Surprise a parent, grandparent or an elderly friend with a gift. 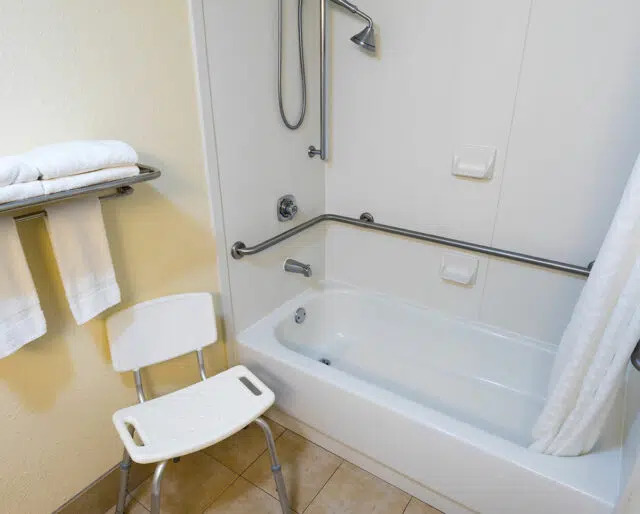 While a device such as a Life Alert may seem like the best gift you could give them (and there’s nothing wrong with it), think outside the box: purchase chair yoga classes for them, install grab bars near doors and in showers, or schedule weekly walks with them to help improve their endurance and strength. One in four Americans over 65 fall every year. ​In fact, the leading cause of fatalities among the elderly is due to a fall. Nearly 3 million fall injuries are treated in emergency rooms every year. This includes 800,000 hospitzalitions and more that 27,000 fatalities. ​In 2015, Medicare and Medicaid covered 75 percent of the cost of fall injuries — which totaled $50 billion — but it's estimated to reach $67.7 billion by 2020. While it's important for people over 65 to learn about falls — as well as how to prevent them and get the quickest treatment — it's equally important for younger people too. Luckily, there are many events that take place on Falls Prevention Day to help spread the word. One of the biggest goals of Falls Prevention Awareness Day is to teach people how to prevent falls. This very important lesson can help many people avoid serious injury. Falls Prevention Awareness Day creates a platform to discuss the impact falls have on our elderly community — and how we can help.